We look forward to seeing you at our SUMMER POP UP SALE! Come and discover the new BIg Daddy Ella Summer 2018 collection! 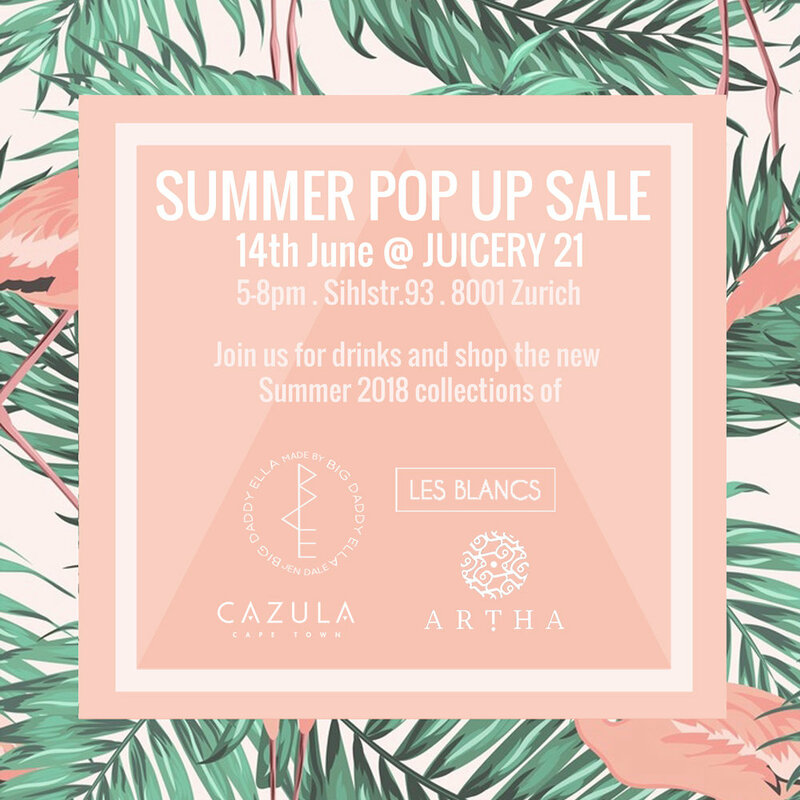 Also featuring the summer collections of beautiful brands, Artha Collections, Cazula and Les Blancs.